DTDC has been highly acclaimed across industry for establishing one of India's fastest growing 'Franchisee Business Model'. 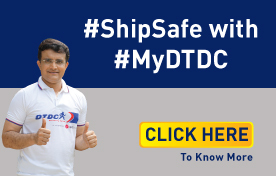 DTDC, in turn, confers credit to the franchise concept for its breakthrough in terms of coverage: its primary differentiator in the express courier market in India. The DTDC story that started in Bangalore in 1990 soon became the largest network in the Indian Express industry among private players. Now, it boasts of over 5800 successful channel partners across the country, widely studied as case studies at various business schools the world over. After launching DTDC, Chairman and Managing Director Subhasish Chakraborty initiated the expansion of its network through a franchise movement. Mr. Chakraborty says: "I conceived a unique business model of appointing franchisees who would not only provide the strength of network at minimal capital investment but also generate business for themselves as well as for DTDC." DTDC's unique franchisee-based model lies at the heart of its success; and a robust Training & Development programme underpins this success. Since its inception, DTDC has never deviated from the development of franchisees and that remains its biggest strength till date.